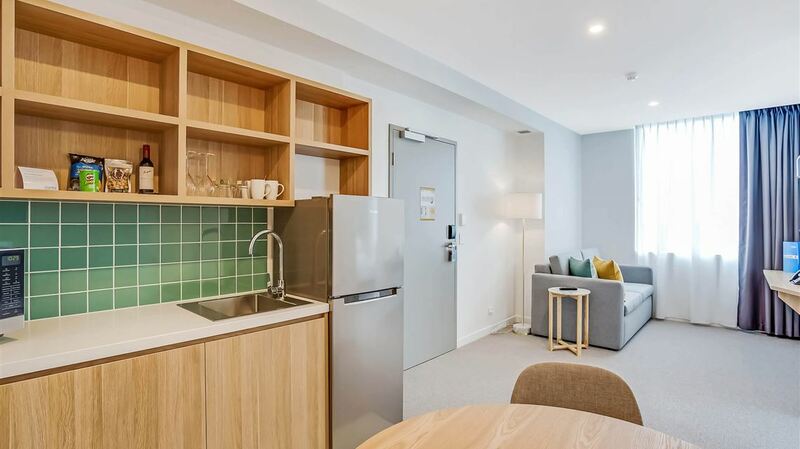 When it comes to hotel facilities, guests have access to 24 hour reception, free WiFi and complementary parking – perfect if you’re arriving by car or wish to hire one. 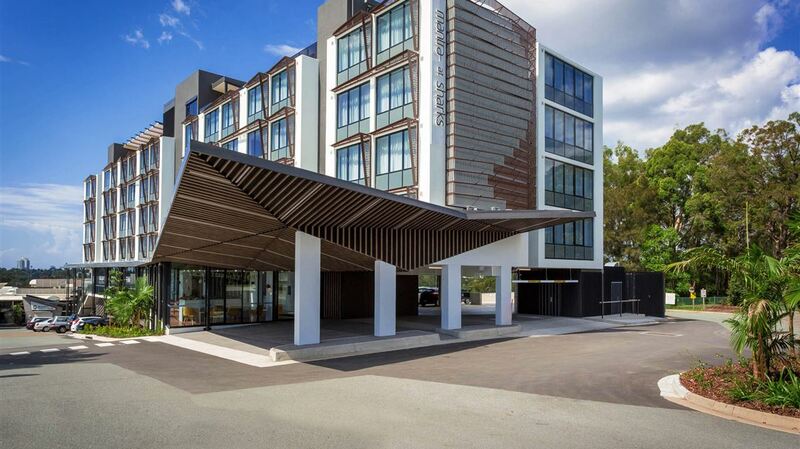 Walk from Mantra at Sharks to the bus stop, or catch the light rail to explore some of the popular things to do on the Gold Coast. Head into Surfers Paradise, or discover Broadbeach where shopping, dining and entertainment is a must. 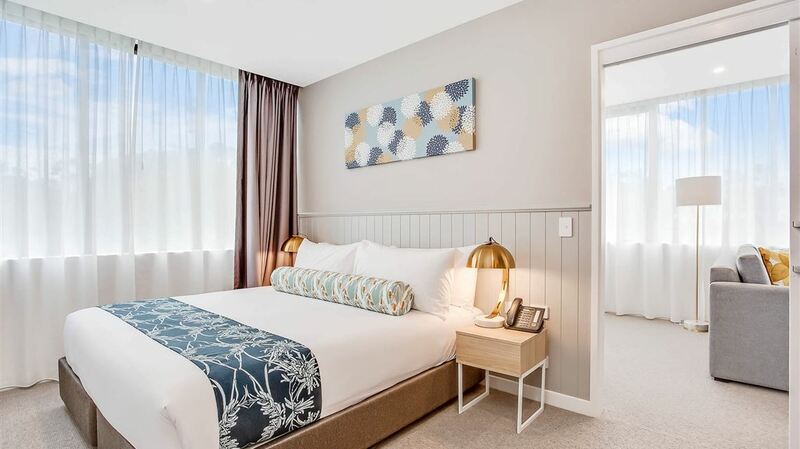 Many of the main attractions are within 15 minutes or less from this centrally located hotel, such as Harbour Town, Pacific Fair, Dreamworld, Whitewater World, Sea World and Movieworld. 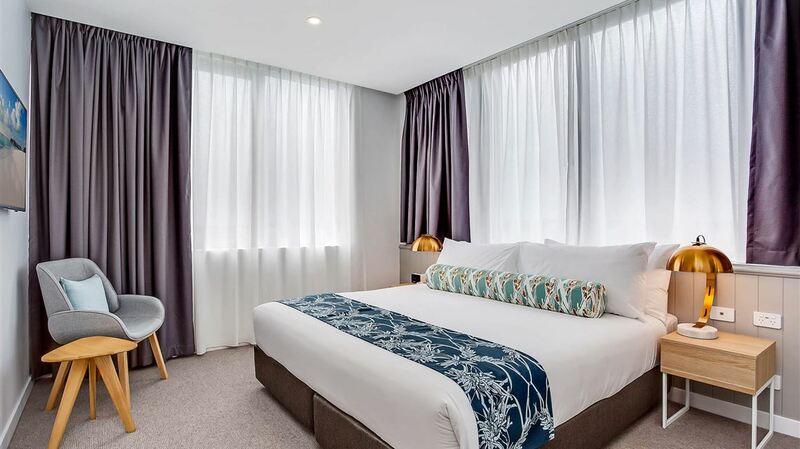 Accommodation includes elegant Studios and Suites with plush King or Queen bedding. 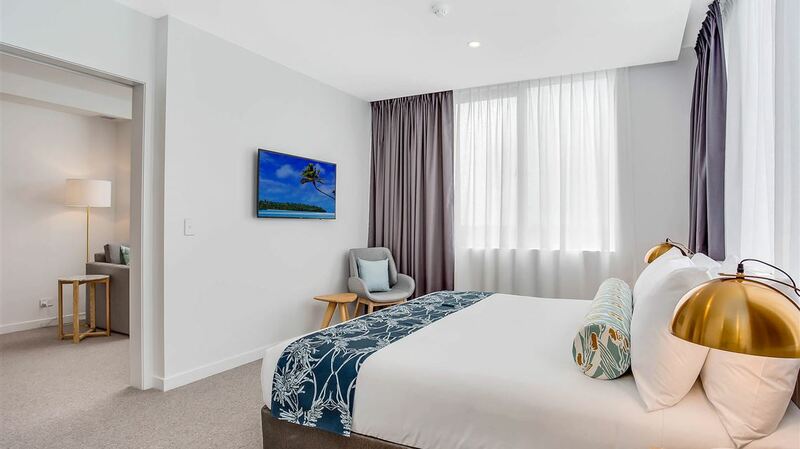 Each room is modern and vibrant with the latest furnishings and decor, not to mention the state-of-the-art facilities such as the 43” LCD TV with FOXTEL channels. Make use of the free in-room WiFi and enjoy the convenience of tea and coffee making facilities. No hotel gym can compete with Southport Sharks Health + Fitness, the Gold Coast’s largest fitness facility. It offers the latest strength and cardio conditioning equipment, 110+ group classes, mind-body classes and a crèche facility for children from six weeks to six years, every Monday to Friday morning.